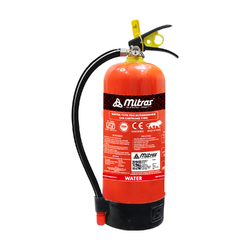 We are widely engaged in offering a large assortment of Water Fire Extinguisher to our valuable clients. 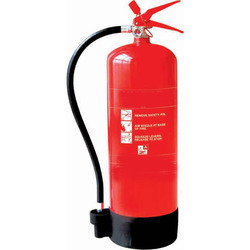 Moreover, customers can avail these extinguishers at competitive prices. Suitable for Class A Fires Involving Cumbustible material of Organic nature such as wood , paper , textile , Jute & many othr goods , etc. We are offering Water Type Portable Fire Extinguishers to our client.